“Your Personal Health Revolution Begins Here!”— with services provided by Scott W. Webb in Nashville, Tennessee. If you struggle chronically with weight-gain, bloating, irritability, headaches, lethargy, and irregular bowel movements, it may benefit to learn more about how your large intestine plays a role. In fact, it is thought that many health issues begin with poor gut health. I have discovered this to be true, and have experienced my own personal health renewal through correct colon cleansing. For the past 14 years, I have provided safe and beneficial colonic therapy sessions to many in Nashville, TN. This has led to a greater sense of wellness and happiness in the clients I see. I can also assist you in taking your colon detoxification further by offering colonic training services, so that you can perform regular colon irrigation on yourself at home. A more recent therapy offered is hypnotherapy. Whether you want to quit smoking, lose weight, or become more focused on becoming a success in life, love, or work, hypnotherapy can assist you in doing so by positively influencing your own self-talk. 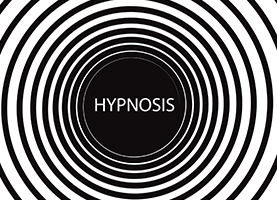 Hypnotherapy has been incredibly effective in changing the lives of many, simply by allowing them to access and better control their subconscious thoughts. When it comes to both colonic treatments and hypnotherapy, many people have limited experience. In most cases, these therapies are poorly understood. However, it is worthwhile to investigate as you are likely to experience beneficial results. 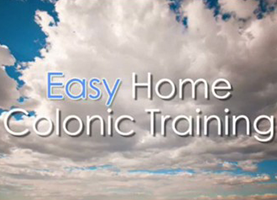 Call by phone or visit www.colonicexpert.com to learn more. Please feel free to contact me Monday through Friday during business hours for queries. Thirty minute phone consultations are free, but often must be scheduled. Call me today to discuss your hypnosis or colonic therapy questions for a better, healthier life.